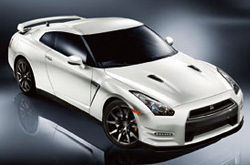 Scroll past the 2013 Nissan GT-R review video below to start reading about the new GT-R. Good GT-R reviews are hard to find; let the stellar Nissan retailer in Albuquerque put it all in one location for you. Make informed decisions when it comes to your next auto purchase, don't take guesses! Each paragraph is filled with facts and vehicle features in way that's easy to understand. Is the GT-R your ticket to freedom on the road? Read on and find out. 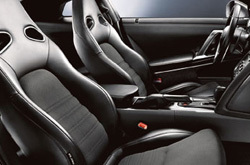 By examining the 2013 Nissan GT-R side-by-side with the 2013 Chevrolet Corvette Z06, Audi RS 5, Porsche 911 Carrera and the BMW M6, and you can notice that the GT-R scores higher those autos in numerous zones. Pay attention to the hightlights below. Our Nissan dealership in Albuquerque is rooted near plenty of bordering cities! So, you're a brisk journey away from receiving accredited OEM parts and work from Nissan technicians! We also provide a 12-month warranty on repairs! If you pass over getting reliable repair work, your Nissan GT-R's fitness might be harmed, so drive it to the certified mechanics at Reliable Nissan. Whether you come for simple inspections, a simplistic timing belt replacement or anything else, we'll complete your Nissan repairs with no trouble. Reliable Nissan's got your back for all Nissan GT-R maintenances in Albuquerque, including incomplex factory recommended services. The link below this paragraph is your roadway to savings! Click now and you'll be lead to to our coupon specials page!